AfterCare Cremation and Burial Service are a Canadian funeral service operating out of Toronto and Oshawa / Whitby, Ontario. They are a division of McCann Funeral Group Ltd. AfterCare are dedicated to excellence in service, having built a reputation of honesty and integrity. Their one goal is to create a fitting, memorable and affordable service for their loved one. The experienced, professional staff at AfterCare will sit down with the family, exploring the wide variety of services and products available. 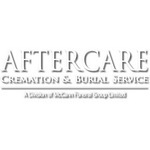 In 995, Aftercare was founded as a licensed funeral transfer service. The business was started by Douglas McCann after he identified the need for a more simplified, lower cost cremation service in Toronto. In 200, Aftercare became a full service licensed funeral establishment after purchasing a former bank building. The first satellite office was opened in Oshawa in 2007. This office specialized in direct cremation. Douglas McCann is the President of McCann Funeral Group and is the managing Director of AfterCare Cremation and Burial Service. He has been working in the funeral industry since he was 16 years old. Doug is also on the Board of Trustees of the Funeral Advisory and Memorial Society of Toronto. AfterCare are dedicated to the preservation of the environment. They are constantly offering new products that offer greener options to their customers. AfterCare Cremation and Burial Service are a socially responsible company. They support a number of local and international charities, including the Canadian Paraplegic Association, Canadian Red Cross, Doctors without Borders and the Hospital for Sick Children.